Who will handle your affairs once you have passed away? The person who does this is known as an executor, and you appoint an executor in your will in India. Choosing an executor is one of the first things you need to do before writing a will. You need to be very careful in your choosing an executor, as an executor is someone you need to trust completely and who must be able to handle the large responsibilities of handling your affairs. · Taking legal and financial responsibility for the administration of your estate. Given the complexity involved, it’s a good idea to discuss the responsibilities of being an executor before you actually go ahead and appoint someone in your Indian will. It’s an incredibly important jobs and can also be complicated to handle. You would also want to familiarise your executor with the contents of your will as well as offer instructions on locating and dealing with your assets, and also discuss funeral arrangements. 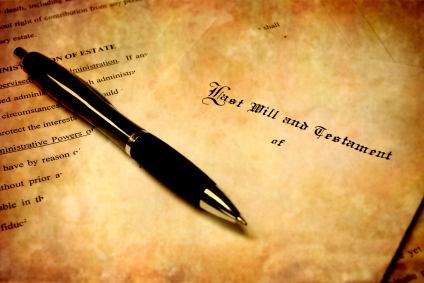 Normally a spouse or trusted family member would be chosen as an executor. You should keep in mind over time that circumstances change, and your chosen executor may no longer be able to handle an executor’s duties due to death, illness or other changing circumstances. To deal with this, you should also consider appointing alternate executors (possibly more than one) in your Indian will. An executor receives compensation for the work they do administering your estate. The amount received is normally based on the size of your estate and its complexity. If you don’t have someone you feel comfortable with acting as an executor, you can also choose a legal professional or a company that specialises in this. Again, the same considerations about choosing an executor carefully apply.